Josh with duct tape over his mouth at the "Day of Silence" protest at the Lincoln Memorial, to bring attention to anti-gay bullying in our schools. Washington, DC. 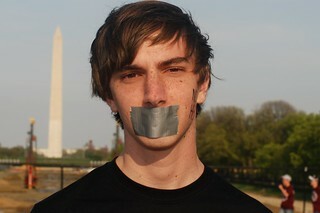 See shot from April 2010: An End to Harassment.